We have trawled through thousands of Pinterest pins and Instagram posts to bring to you a central source of inspiration for your Nursery project. Decorating and DIY'ing will be one of the more fund child related activities in the lead up to the birth of your new arrival. The hard part is making a decision on your theme! We will not pretend to be making this choice any easier for you here - there are 100 options after all - but what we can do is try and prevent any kind of remorse in your choice if only you knew about this other theme. Even if you feel you have no DIY skills, most wall features and decals are so easy to use that anyone can do it. If you have used stickers at any stage in your life then you are more than qualified. If you have not done this before check out the demonstration video below. There are a few easy hacks that will make this process a breeze. Wall paper will be a bit more technical as you will have to measure and cut your sheets to fit the wall. This is still an easy DIY project, but it is more time consuming and requires some precision. 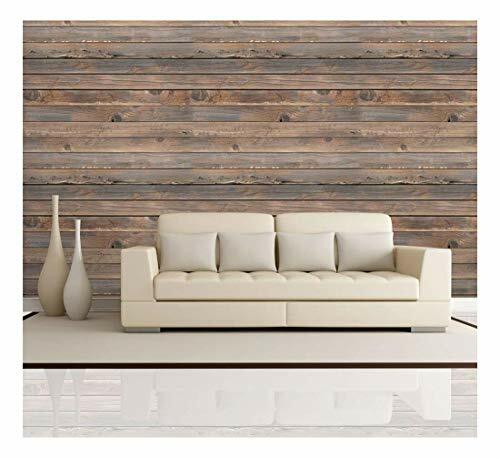 You can transform your nursery into a warm & cozy log cabin setting with some wood panelling wall paper stickers. This rolls out easily on your wall of choice and the installation is just a peel and stick process. When you have your cabin setting any animal toys will look right at home! A fully customizable name will add that personal touch to your woodland setting. Combined with the cute animal cartoons looking over your crib, this is an easy kick start to your woodland themes nursery project. The light refreshing colours of this decal are probably more boy'ish with the green central feature. The plane over head is a nice touch amongst the clouds and gives off an ambience that cries sleep... Hopefully that is exactly what it encourages! 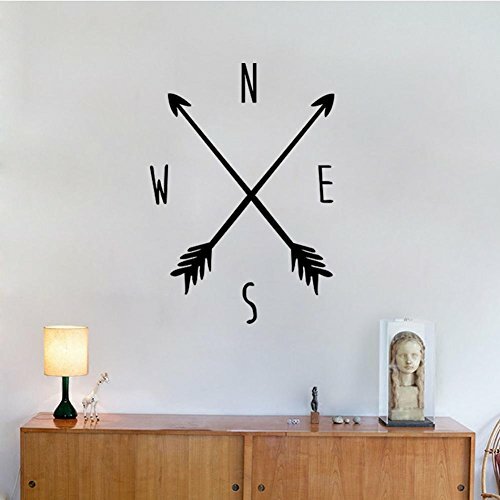 This simple compass decal will be a unique addition to your feature wall, and will go with just about any color you can imagine for your nursery... Except black of course. From there you can put together a blend of rustic and modern features to suit your taste. 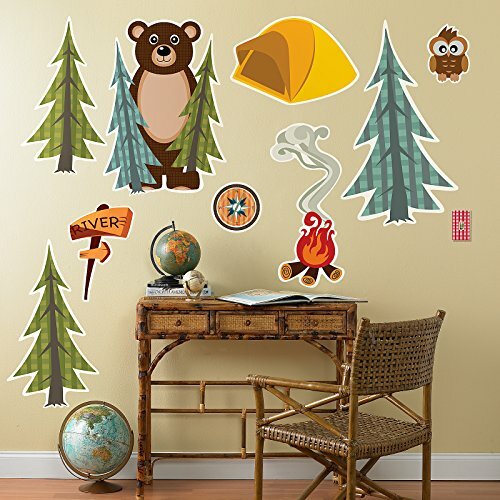 Multiple pieces are included in this camping scene set of decals that are perfect for that great outdoors setting. You can spread these out across the room to support your theme design. 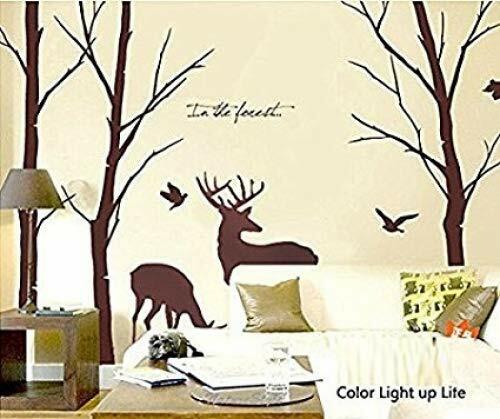 This nature scene decal gives a very raw, but pleasant, scene that creates a relaxing ambience in your baby's sanctuary. While it has no bright colors you will find that it will compliment the typical color scheme for either a boy or a girl. An elegant and mysterious feature that is quite symbolic of life. A young, strong, and growing tree with fragile branches and leaves that bend with the external forces of nature. I have lost count of the number of babies I know who's first word was turtle. What I like about the pond theme is the simplicity of the subject matter. Those first word books have a lot of overlap with the characters. This can be a great educational tool in those first years as they develop their speech. With a pink central theme with blooming springtime surroundings, this theme will bring out the girliest parts of your girly side. This is another theme that can overlap with the early vocabulary education. This may not have the broad appeal that the flower theme would have, but is a fun and easy theme to follow with a diverse range of colors that gives you a lot of freedom. This is a theme with great versatility. You can go with either bright colors and whimsical birds, or something more muted and realistic. Either way, you will have something that will give a sense of feeling light and free like a bird. When it comes to a girly deer-themed nursery, the first thing you may think of is “Disney Princess,” with friendly (and helpful!) creatures in a fairytale setting. That is what you will get with this theme: all of the whimsy and magic for your little princess. On the other hand, when it comes to little boys and deer, you may think of a more realistic approach…perhaps something that makes you think of a hunter. This theme is sure to fit with your little boy’s outdoorsy ruggedness. What’s the old saying? Little boys are made of snips, snails, and…puppy dog tails…Okay, well not really of course, but what little boy doesn’t love puppies? This theme brings all of the cuteness and joy that a dog can offer while remaining simply decorated. Sheep are the perfect companions in the nursery. Soft and fluffy, they almost invite your little one to lay their heads down on little woollen pillows. This nursery is sure to send your baby peacefully into dreamland as they count their sheep. There’s a reason Ernie loved his rubber ducky; it’s a bath time favorite for kids of all ages. Bring that cute little bundle of joy into the nursery with this adorable ducky theme. Nothing says girls are the only ones that can like cats, but there is a reason cats are often associated with girls and dogs with boys. Cats are the picture of sophistication and grace, and this nursery theme is sure to echo those traits that inevitably exist in your baby girl. The sight of a turtle can often reflect the way we want to keep our babies: safe and secure inside a little shell. But since that is impractical, you can at least keep them safe in their turtle-themed nursery. I do not know what it is that makes the combination of elephants and baby items so adorable, but the obvious cuteness cannot be denied by anyone who sees it. Elephants are easy to decorate with, giving you the freedom to use just about any color or pattern to accent the soft grey creatures. Giraffes can be a symbol of growth. Incorporating them into your baby’s nursery may inspire them to reach great heights, both physically and purposefully. The Land Before Time showed that dinosaurs don't have to be scary. I promise you will not find many dinosaurs cuter than the ones used in this theme. Another favorite animal to pair with baby items, owls add a bit of cuteness to any boy or girl nursery. You have the freedom to choose just about any color to go with this creature of the night. Considering that your baby is as sweet as honey, a bumblebee nursery is a great choice to showcase that sweetness. This theme is especially ideal if you are planning on letting your baby’s gender be a surprise. With yellow as the focal color, it will work well for both boys and girls. One of the most fun things about this theme is not the bunny itself, but rather all the fun textures you can play with when you are decorating. Do not be afraid to incorporate lots of fur and ruffles to really girly-fi this nursery. Similar to our flower garden theme, this one features some girly pastel colors, like pink, green, and lavender, and allows you to go crazy with the butterfly décor. Perfect for your delicate little bug. I love koalas; one of my absolute favorite things about them is the way the babies hang on to their mamas. They look so cozy and safe, with their embrace just exuding the love they have for each other. What a perfect theme to use for your baby’s nursery. Pandas make me think of human babies, with all their chubby, roly-poly clumsiness. Their black and white pattern makes them a perfect choice for your baby’s nursery, visually stimulating them from birth with the vivid contrast in colors. When you just cannot decide what animal theme you want to go with, you can just settle for an all over zoo theme. That way you can incorporate all of your favorite animal friends at the same time! For something a little more homely and less exotic, you can go with this farm theme. This goes really well with those early children’s books. You can talk to your baby about the cow jumping over the moon, houses made of brick, and the little sheep that followed her girl to school. Whether you are a sailor or simply love all things ocean-related, this navy and white nautical theme is easy to put together for your little boy. Create an underwater dreamland with the unique decals used in this theme. Your baby can drift off to sleep floating along with their favorite ocean friends. Sometimes we all just need to get away to the sea for a little bit, but when the busyness of life does not allow that, you may just need to settle for bringing a little bit to yourself. This theme will help you do just that, making you feel the peaceful tranquility of a day at the beach. All you need are some ocean waves. You can just about bring this sailing theme to life with the colors alone. The navy and white give a nautical feel to the room, and the red accents add a pop of color. You can top the whole thing off with a couple of decorative sailboats, and a compass decal on your focal wall, and you will have an easily assembled sailing theme. Not to be confused with the jungle theme – as it seems is so commonly done – this understated safari theme focuses on tribal patterns and animals from the African plains. The jungle theme, however, focuses on green leafiness, and lots and lots of monkeys! Keep the colors simple with green and brown, and accent with decals featuring trees, leaves, and vines. I suppose this theme could be considered more Southwest than desert. With the brightly colored accents, Aztec patterns, and cactus and horse décor, your little one will feel like a little cowboy or cowgirl on the range. This artic theme is prefect for your cuddly little cub. Keep the colors nice and cool, focusing on icy blues and greys, and have fun decorating with polar bear themed wall decals. This tropical theme is nice and simple, making you think of a cozy Floridian getaway with palm leaf wallpaper, light colors, and straw and wicker furniture elements. What little boy doesn’t love cars? With this theme, you can have loads of fun decorating with lots of color and cars of all shapes and sizes. The airplane theme is one that is a lot of fun to do with a vintage twist. When you are decorating, keep the old aviators in mind, with blues and tans as your color choices, and old bi-planes as your decorative accents. Choo! Choo! All aboard for dreamland! This is another easy theme to put together, and perfect if you are looking for minimal work to do. Keep with the red, white, and blue color scheme, and just add a few train accents, like decals and bedding, and you are all set. What better personifies the tough, rugged exterior of a little boy than a truck? Whether your focus is pickup trucks or construction (like this theme), you are sure to be satisfied with the simplicity and cuteness of this nursery theme. This is very similar to our sailing theme, but you can incorporate boats of any kind into this nursery theme. Try mixing in some tankers, speedboats, and tugboats with the usual sailboats to give it some variety. I do not know what it is about flying vessels that makes them so much more aesthetically pleasing in a vintage style? 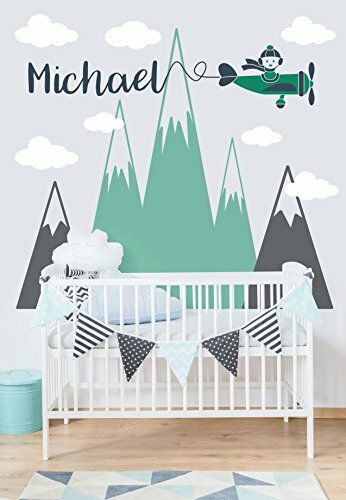 This hot air balloon nursery theme is another great one (along with the airplane theme) that looks great with muted colors and vintage elements. You can save yourself redecorating in the future as it translates great into an older kid’s room later on. Encourage your baby to grow up into a dreamer with great traveling ambitions with this nursery theme. You can either go over the top with decorating, incorporating a giant wall mural featuring famous travel destinations and modes of travel (planes, trains, cars, balloons), or you can keep it more simple with a travel tag wallpaper border. Either way, throwing in some vintage suitcases as décor and furniture will really pull the whole thing together. This theme is very similar to the travel theme, but much simpler. There is only one design element you really need: a giant vintage map on your focal wall. Ah, Paris: the city of love, as most people say. So quaint, so elegant. Perfect for your little girl, you can keep the color scheme simple with soft pink and black, focusing on silhouettes of the Fleur de Lis and Eiffel Tower. Some of our favorite children’s books come straight from England – Peter Rabbit, Paddington Bear, The Chronicles of Narnia – so a London theme is great for your baby’s nursery. The color scheme is red, white, and blue (just like the Union Jack flag), and you can include decals featuring London’s iconic landmarks and sights – London Bridge, Big Ben, double decker buses, and royal palace guards. So, Scandinavia may not be the first thing you think of when decorating your baby’s nursery, but the style is getting to be quite the trend now – probably thanks to the popularity of IKEA furniture! The theme is very easy to put together, focusing on minimal color, clean lines, and natural textures. Once it is complete, you may change your mind and move your own bed in rather than the crib! This theme can be a bit time consuming if you want to get the full cowboy effect. With the intricate design elements – cow rug, horseshoes, wood paneling, etc. – you will be looking at a good amount of time and effort going into decorating. However, as you can see, the result will be well worth it. Once your baby is old enough to play make believe, he will inevitably pretend to be a pirate at some point. This pirate nursery is an adorable way to introduce him to the fun world of pirates (make believe, of course). Tribal prints have been popular for a while now, and their popularity does not seem to be dying down any time soon. This nursery puts an almost elegant spin on the whole Native American/ tribal theme. My absolute favorite thing about this is the teepee over the crib; it is almost like a canopy but works so well with our theme. No need to be afraid of monsters under the bed with this theme. They are welcome in the nursery if they are as cute as these guys! Have fun with color, mixing up shapes, textures, and colors for a fun and eclectic monster theme. Your little prince should not miss out on a nursery that captures his royalty. It is similar to the princess theme, but of course instead of pink there is blue, and you want to go for heavier materials, like silk and velvet. This nursery theme is great for any little boy, but absolutely perfect for a child whose parent is in the armed services. With lots of camouflage, tanks, planes, trucks, and military stars, this nursery is a great way to honor those who give their lives for their country. As a parent, you can feel like the ringmaster for a three-ring circus with all the chaos around you. Creating this nursery for your little animal can be a lot of fun, with the bright colors, animals, and tents. It is a welcoming and fun environment to put your little one down when the show is over. Mozart is said to make babies smarter, perhaps because Mozart was a child prodigy himself. Why not give it a try and decorate your baby’s nursery to capture all of the intricate notes and genius of classical music and composers. Sometimes classical music does not quite cut it; sometimes you just need rock and roll. Though this theme is more suited for boys, you can easily switch out some of the colors to make it fit your little girl’s style too. For the country girl or boy, this nursery is a great alternative to the classical or rock and roll music themes. Being America’s favorite past time, this baseball theme’s colors are understandably red, white, and blue. Top it off with baseball accessories and your nursery look is complete. This is one theme that is customizable to fit your family. Simply switch out some of the décor for your favorite team’s logo, and you have the perfect nursery for your little fan. For some reason, boys are hardwired with the desire to go fast, challenging each other with foot races and developing an innate attraction to fast cars. This racing themed nursery is every little boy’s dream, decorated with race cars and a checkered flag above your little one’s crib. Who says hunting is only for boys? There is a growing trend in girls’ hunting gear and designs, with camouflage and pink deer in place of the traditional hunter’s orange, and you can incorporate that into this nursery theme as well. There are few things more relaxing than a day of fishing, and it is the perfect father-son outing. Why not bring some of those elements into the nursery with this quaint fishing theme? I always loved staring up at the stars as a kid (and as an adult); there was something about the vastness of space that made me want to see what was out there. This nursery theme is ideal for kids like me, dreaming of exploring the vast reaches of space. Let the fluffy clouds in this nursery theme cushion your baby’s head and send them off to sleep in comfort. 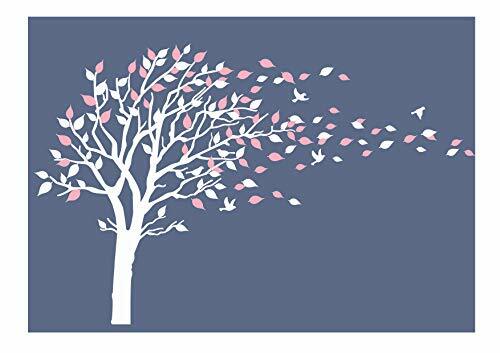 It is easy to put together, with the only design elements being soft colors and clouds. In order for your baby to understand sleep patterns, they need to understand the difference between night and day. You can help them out by creating the ideal sleep environment, decorated with the moon and stars. A rainbow theme is a great way to bring lots of color and cheeriness into the nursery. It is hard to feel sad when you have rainbows and sunshine coming your way. Decorating with characters can be a lot of fun. Why not choose everyone’s favorite mouse, Mickey? The color scheme is easy, sticking to the colors he wears, and after you have your paint down, just add anything and everything Mickey you can find. Of course, we cannot forget our favorite mouse’s girl, Minnie. Just follow the same routine for the Mickey theme, focusing on pinks rather than yellow and red. A fun twist on the monster theme earlier in our list, this one features your favorite characters, Mike and Sully, as well as their work buddies. As far as character nursery themes go, this one may just be one of the most fun to put together. You can recreate an exact replica of Andy’s room, complete with cloud print walls and a mixture of cowboy and space man features. Again, another twist on a previously mentioned theme (ocean), this one brings the ocean to life with your friends Nemo, Marlin, Dory, and even Crush. The Peter Pan theme is an extremely popular one when it comes to nurseries. It can also be a lot of fun to decorate, especially with the mix of Indian, pirate, and London elements. Another nursery favorite is Winnie the Pooh. This one is based on the Disney character design, featuring your favorite bear and his friends. Likely one of the most underrated Disney movies, Up offers some adorable features to include in your baby’s nursery: balloons, clouds, and a sense of adventure. Ok, so no one says that Star Wars is only for boys – I happen to love Star Wars – but the overall design of this nursery is more suited to a little boy. Just make a few tweaks to the outer space theme and add some recognizable ships and characters to bring this theme together. This may seem like the most unlikely season to base a nursery theme on, but the winter aesthetic can actually be quite cozy. Just think cool colors and warm, comfy cabin elements. With all the flowers that bloom in the spring, this theme may be more suitable for a girl. It can be similar to the flower garden theme, but the colors can be a bit more vibrant and less vintage. Again, with the poppy flowers, this theme may be better for a little girl, but you can change the aesthetic and add more beach elements to make it more suitable for boys or girls. Just think refreshing, warm, and inviting. Autumn is my absolute favorite. I love the colors and the crisp air. It is finally time to break out my flannels, leggings, and scarves. The autumn nursery theme is a great way to incorporate those beautiful colors you see in the trees into your baby’s room, as well as trees and woodland creatures. The Harry Potter generation is finally old enough to be having children of their own, so it is no wonder this theme has become more and more popular across sites like Pinterest. You can really have a lot of creative freedom with this theme. You can keep it neutral and just magic based, or you can base the entire design around a certain house that you are fond of. Beloved by parents and children alike, the Peter Rabbit theme is a great way to combine some of the best nursery elements: rabbits, story time, and vintage. 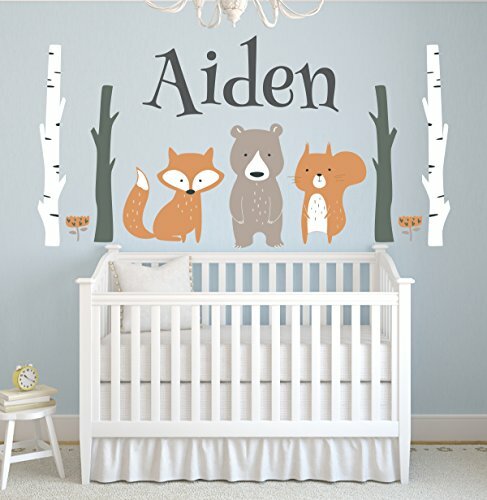 This nursery theme is perfect for your little king of wild things. There is very little color to worry about, with only grey and white as your main colors, and yellow as the only accent. You can feel free to include the actual characters, or you can just keep it simple with silhouettes. Nursery rhymes are some of the first things your baby will hear, and you can easily combine this theme with the farm one by using some of the same animals. Either use pictures to tell the stories, or paint famous quotes on the wall. Design Elements: Castle; Grimm’s or Anderson’s fairytale characters; Red Riding Hood, princesses, mermaids, etc. Every little girl imagines herself as a princess or living in a fairytale world at least a few times during her childhood. You can bring that dream to life with this nursery theme. Design Elements: Water; ark; animal pairs: zebra, monkey, lion, giraffe, etc. Another famous story that can be fun to design thanks to all of the animals you can incorporate. This theme combines all of the best elements of our animal themes while teaching that God keeps His promises. If you like whimsy, this is the perfect theme. Have fun with vibrant colors and all of the crazy designs that can only be found in a Dr. Seuss book. The ABC’s are the foundation of story time, so why not introduce them to your baby early in their nursery? You have all the creative freedom you want with this theme – with no color or design restrictions. We had the Disney Pooh theme earlier in our list, but we felt that we had to include the classic Pooh as well. It has a different feel, vintage and simple. You can see the difference in the character design and muted colors. There is something comforting and inviting about the vintage aesthetic. Perhaps because you feel transported to another time when things were softer and simpler. Think florals in muted colors and metals, like rose gold, brass, and copper. When it comes to vintage, the floral design is not necessarily just for girls. With the right colors and the right flower choice, you can make this theme suitable for your little prince as well. I love this theme; the whole bohemian/rustic style is totally my thing. You want to go for natural textures and colors, as well as a kind of industrial (brick) wall look. This theme is as easy as it sounds: minimal. Just clean lines, muted colors, and perhaps a little bit of vintage inspiration from the floral wallpaper. We also wanted to include this year’s color trends. These are pretty easy to decorate, focusing on the focal color and just finding some accents and décor to complement it. You can look through the photos for inspiration.